The fun begins at 6PM! 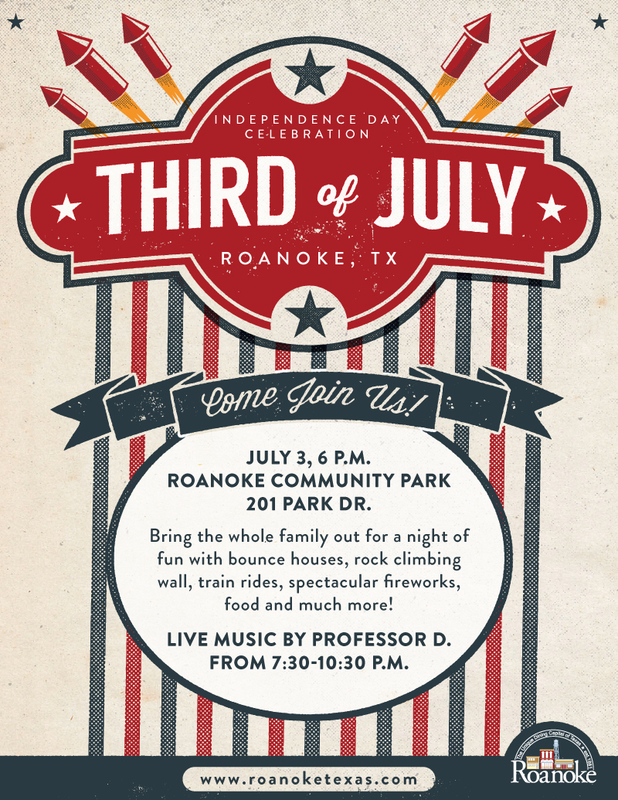 Join us on Friday, July 3rd at 6 PM for Roanoke's annual Independence Day Celebration at Roanoke Community Park! Bring the whole family out for a night of fun with bounce houses, rock climbing wall, train rides, food and an AWESOME fireworks show! *BBQ sandwich or hot dog, chips and drink will be available for only $4.00 (cash only please). *Complimentary shuttles will be available at the park entrance. *Alcohol is NOT permitted. *Bags and coolers will be checked prior to park entry.